KÀ is Cirque du Soleil’s fourth permanent venue in Las Vegas. 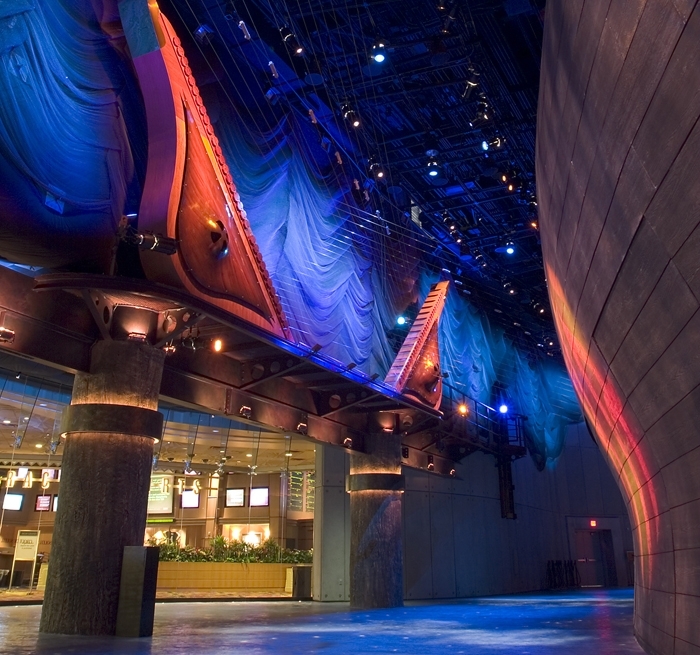 Collaborating with Cirque du Soleil, the MGM/Mirage Design Group and Marnell Corrao Associates, Auerbach Glasow provided architectural lighting design for the lobby, concessions, entry vestibule and theatre. 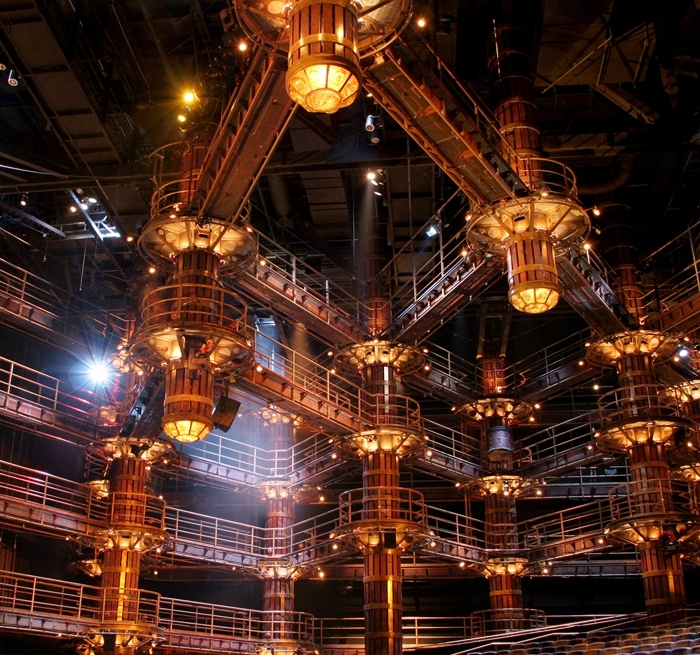 Lighting for the public spaces supports the dramatic approach of the show’s motif. Themed to resemble an abandoned structure,the lobby is juxtaposed against the concessions’ and public restrooms’ modern, industrial feel. Visible from the casino floor, the lobby’s adjacent retail space features a glass wall front with a continuation of the abandoned structure theme including exposed beams and rough dark ceilings. Moving in deeper, a modern retail space emerges with lighting dramatically enhancing the merchandising. To enter the audience chamber from the lobby, the audience must pass through a sheet of saturated blue light into a glowing blue entry vestibule. The blue light represents a cleansing, as if passing through a modern clean room antechamber. The audience chamber is dramatic as the stage and house do not have the traditional proscenium separating the two spaces. 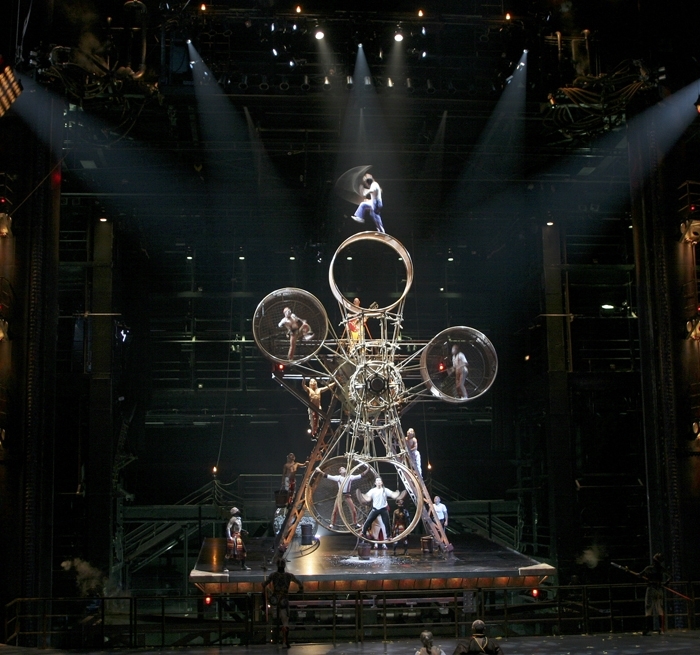 Scenic elements made up of a post and beam supported catwalk network extends deep into the audience. The lighting of these spaces aids in generating audience excitement from the moment they step through the lobby doors.